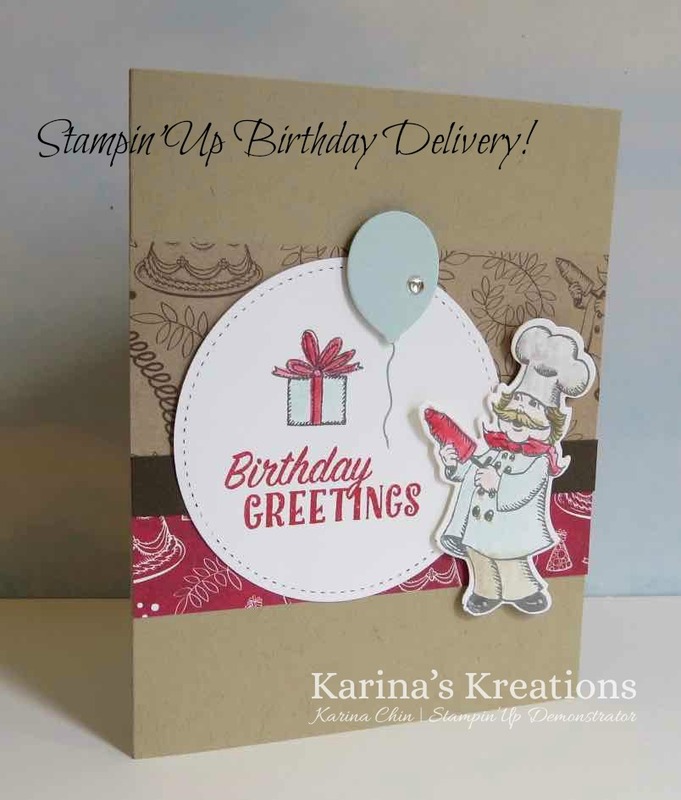 Karina's Kreations: Thailand Achiever's April Blog Hop Onstage 2017 Highlights! Thailand Achiever's April Blog Hop Onstage 2017 Highlights! Thank you for joining us in the Thailand Achiever's April Blog Hop. 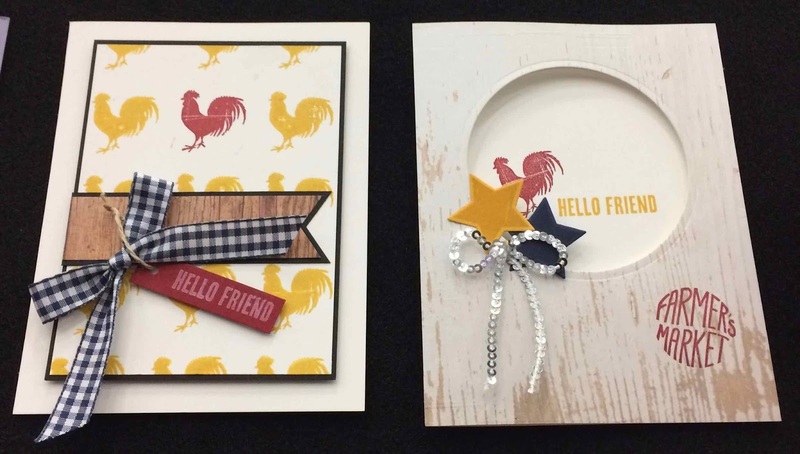 I'll be sharing a few highlights from Onstage Calgary as well as a sneak peak from a new stamp set called Birthday Delivery! 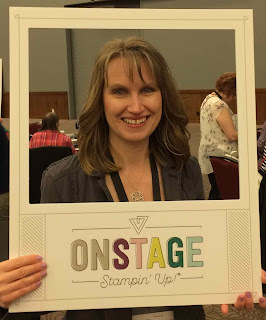 One of the reasons I signed up with Stampin'Up was to be able to attend all the fun Stampin'Up events! It's allowed me to travel and meet so many amazing friends!!! This Onstage was special for me because I hit my 10 year anniversary (where does the time go?) and I hit 300000 CSV in career sales! I can't believe how blessed I am and thankful for all the support of my friends!!! My friends Caroline and Hetty came down to Calgary with me. 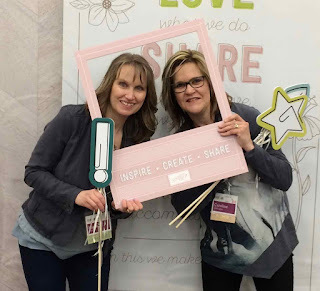 Caroline was my only team member able to attend so I'm throwing an Onstage after party Saturday night at Boston Pizza with stamping, display boards and door prizes for the rest of my group. I wanted them to have 4 new samples to share with their friends and designed this cute card using the new Birthday Delivery Stamp set. How cute is this little chef? If you're looking to get the starter kit and live in Canada here's my team link. Join the fun! Display board using the Wood Words stamp set! 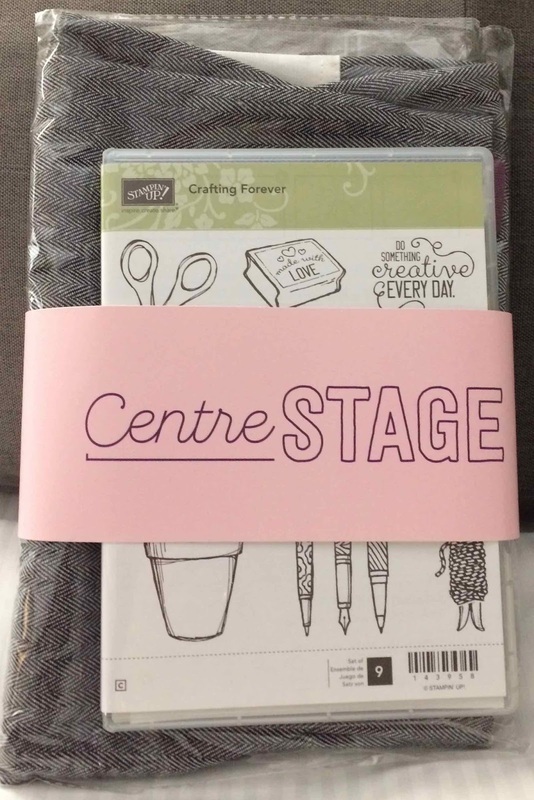 This is the new Crafting Forever stamp set and an apron we got at center stage. Cute card made with Crafting Forever! 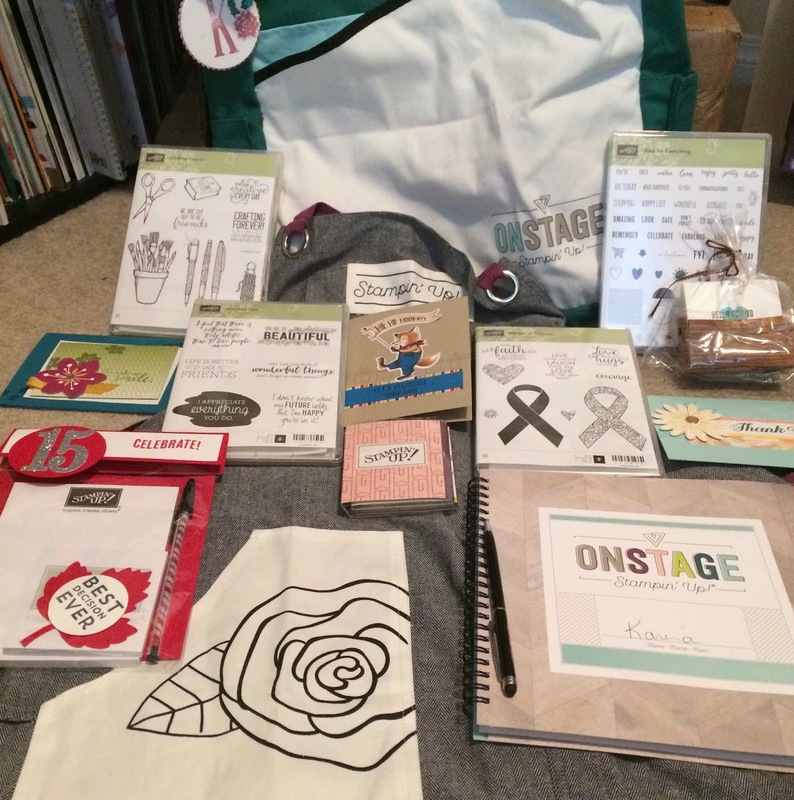 I took a picture with all my Onstage goodies! Notice the notebook in red packaging? 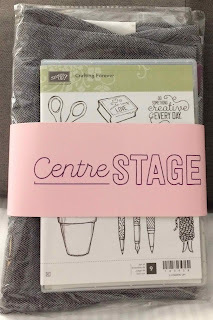 It's Stampin'Up Canada's 15 year so all the attendees got a notebook and pen and special cupcakes at the event! 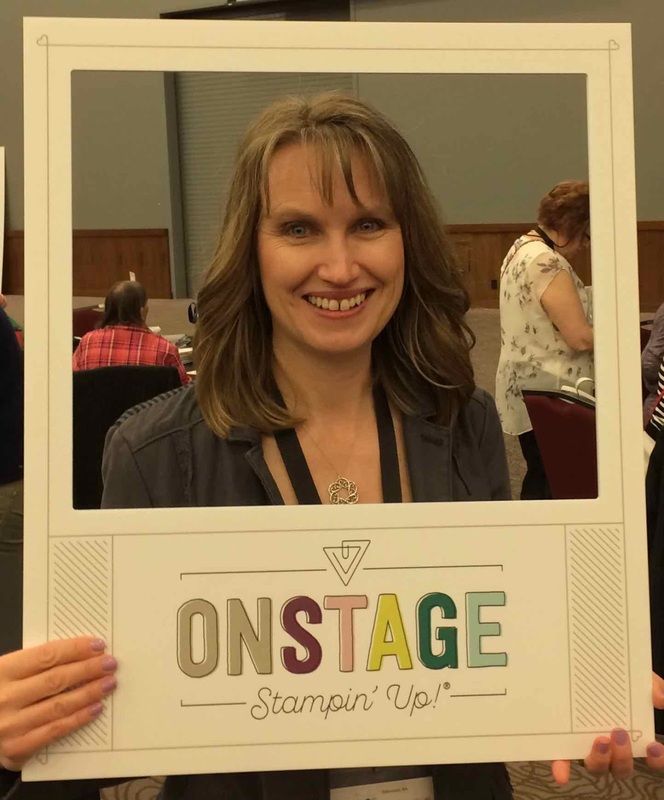 I'll be attending Onstage in SaltLake City in November! Let me know if you want to come!! I hope I gave you some inspiration and remember to check out all the other amazing blogs in this hop. Thanks Zoe! I love throwing parties and I think my friends will love the new products!!! Thanks Candy! On stage was so fun!!! 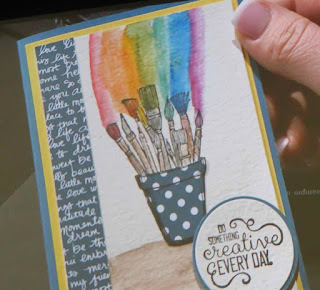 I love seeing all the ideas and new product! !